Visual collaboration for thinkers, builders and doers. 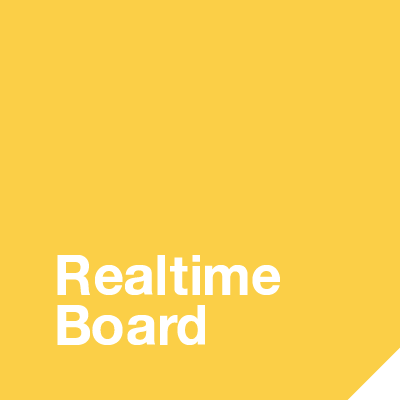 RealtimeBoard is the leading visual collaboration platform helping cross-functional teams of marketers, designers, product managers and engineers ideate, design think, and collaborate to bring some of the worlds most innovative products to market, faster. Today we have over 2M users globally and over 6,000 paying teams inside companies like Twitter, Salesforce, Airbnb, PwC, Deloitte and more.